Over a year and a half since its outbreak, the Gulf dispute is increasingly leaving the boundaries of political difference among the Gulf’s top leaders, and is now reaching almost all aspects of life. Sports, which attract millions of fans in the Gulf region, have also been affected by the process of politicization of various social issues. Tensions and the exchanged insults related to sporting events are exceedingly surpassing what once was a friendly back-and-forth between competing nations. Instead, sport is now being used to attack and direct pressure against nations seemingly in competition with one another on and off the field. For many people in the GCC, individual games or matches are increasingly seen through the lens of politics. In a region known for common historic ties, the social consequences and increased polarization between Gulf peoples are emerging as one a long-term threat to the region’s societal synergy. Sports-related tensions in the Gulf noticeably emerged following the GCC Crisis that broke out in June 2017. The ongoing 2019 Asian Cup tournament being hosted in the United Arab Emirates (UAE) has witnessed a number of incidents reflecting the intensity of disagreements among the monarchies. Saud Al-Muhannadi, Vice President of both Qatar Soccer Federation and Asia Confederation was denied an Emirati visa to travel in order to meet with other officials to look into the preparations for the tournament. A few days later and only after having come under pressure from FIFA did Al-Muhannadi receive his visa. The UAE also barred the entry of five-member Qatar National Team media delegation who presented prior-issued visas upon arrival in Dubai International Airport. Also, as a result of the boycott of Qatar by the UAE, KSA, and Bahrain, Qatari national-fans have been unable to gain entry visas to the UAE, thus barring them from enjoying the event or exhibiting any kind of Qatari national pride. The UAE’s blatant politicization of sports is not only limited to the case of Qatar. The Yemeni Minister of Youth and Sports Nayef Al-Bakri was also denied visa to the UAE to attend the Asian Cup 2019 and support his national team. Al-Bakri is perceived as a member of Al-Islah Party, a Yemeni Muslim Brotherhood affiliate that has clear disagreements with Abu Dhabi Crown Prince Mohammed bin Zayed. At the same time, the UAE has sent a large number of invitations to prominent figures in Socotra, a Yemeni archipelago that the Emirates seeks to fully control. Demonstrating the full extent to which the UAE seeks to cut all ties with Doha, the Emirates has opted to withdraw from games in which it would play against Qatari teams. In July 2017, the UAE snooker team withdrew from the Snooker Asia Cup in Kyrgyzstan when it was set to play against Qatar in the group stage. The Emirati national soccer team also withdrew from the under-16 Asian Football Confederation Tournament when it was placed in the same group of the championship’s host Qatar in September 2017. Television broadcasting rights have also become a contentious issue between Qatar and the blockading GCC states. Qatari beIN Sports TV Channel retains exclusive broadcasting rights for many international sporting events, including the current Emirati-based 2019 Asian Cup. 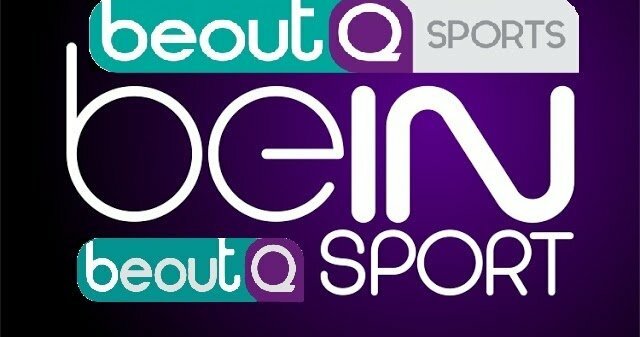 In August 2017, however, BeoutQ TV imposed upon beIN’s broadcasting exclusivity by hacking the games on the Qatari channel. The network’s name, “BeoutQ,” appears devised to reflect the opposite of “beIN” with the “Q” being a not-so-subtle reference to Qatar. BeoutQ is believed to be a Cuban company that is administered by Saudi nationals. In October 2018, Qatar filed a complaint against Saudi Arabia before the Dispute Settlement Body (DSB) of the World Trade Organization for violations related to the intellectual property rights of beIN Sports. The Saudi government, however, issued a repeated statement stressing that the nation is fighting cyber piracy. Advertisements on BeoutQ channel flagrantly target Qatar by ridiculing its leadership and accusing it of terrorism funding. The politicization of sports is also evident on governmental TV channels, as exchanges of insults between sports studios and programs are exposing vitriol before more and more viewers, widening the social cracks among the people of these states previously united by tribal and social bonds. These tensions and insult exchanges have intensified on social media as Qatar is playing against the UAE in the semifinal of Asian Cup on January 29th. Sports have long been a symbol of unification among peoples, where different teams and nations compete for a title, but eventually unite in the spirit of sportsmanship. Since the onset of the GCC crisis, this is clearly changing in the case of the Gulf region. Sports are being weaponized, the victim of which is Gulf social cohesion. 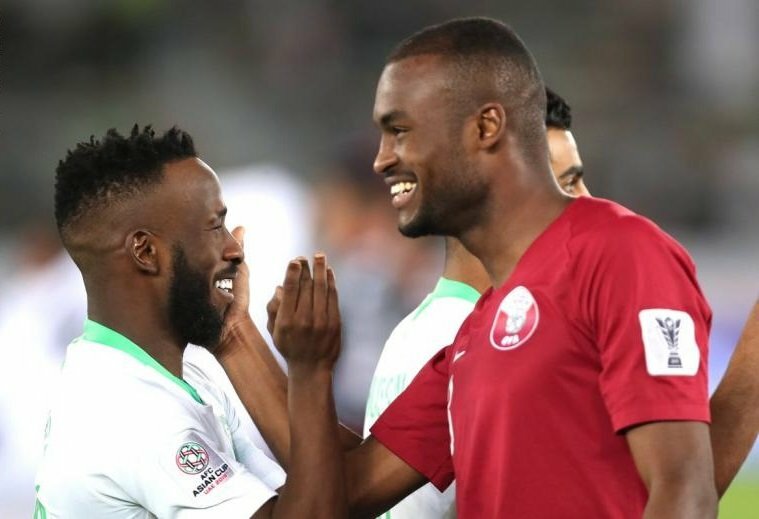 One sign of hope however appeared at Saudi vs. Qatar game, at which a picture went viral of a Saudi player shaking hand with a Qatari player, signifying that longtime norms of fair-play have now become a notable exception. The politicization of sports has also had profound negative effects on the eligibility of GCC states to host future international events which encourage inclusiveness and tolerance. If sports cannot bring the warring GCC states closer, then the leaders of these countries should take affirmative steps not to ensure that sports do not instead become a vehicle for further polarization.